Tata Sky is one of the largest satellite television provider providing the maximum number of TV channels. You can now enjoy the latest movies, tv shows, games etc in HD connection. 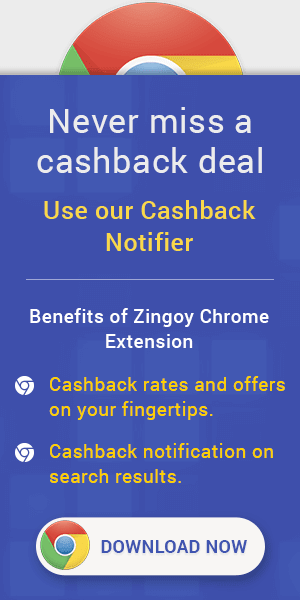 Also get the maximum cashback on your new Tata Sky connection and also on your recharge by using the latest Zingoy coupons and promo code. Tata Sky Dilao aur ₹300 pao Offer : Refer your friend and family members to Tata Sky and make them go jingalala with 1 month free subscription. Coupon code is not required. Checkout the landing page for more details. Tata Sky Dhamaka Pack Offer: Now Get 220+ channels and services & 1 regional pack free, - 1 month HD access fee Free, + HD set top box connection, + LIVE TV and Video on-Demand on two mobile devices at Rs.2000 only. Offers valid across India except the 5 southern states (Andhra Pradesh, Tamil Nadu, Kerala, Karnataka and Puducherry). Tata Sky Cashback Promo Offers : High definition viewing with Dolby Surround Sound. Enjoy Savings & Benefits. Also get 1 month Ultra Pack free. With great picture quality, incredibly vivid colours, sharper images and stunning surround sound, Tata Sky HD takes TV viewing to a whole new level. An aspect ratio of 16:9 and 1080i resolution ensures an enhanced viewing experience. Tata Sky Cashback Promo Codes: Now Enjoy world-class entertainment & unmatched value on Tata Sky with these exclusive online offers. Book now & save more on your Subscription Packs. Coupon code is not required. Checkout the landing page for more details. Tata Sky Cashback Codes : Now recharge your Tata Sky South Special Pack at Rs.229 only & enjoy more. Get 220 channels including 2 regional packs at Rs.229 only. Limited period offer. Tata Sky Cashback Coupons : Get 237 channels & services* + 1 FREE Regional Packs with Tata Sky Dhamaka 199 pack. Pay Rs.199 per month or Rs.597 Quarterly or Rs.1,125 semi-annually or Rs.2,189 per annum. This pack does not contain any HD Channels. Tata Sky Cashback Offers : Presenting the future ready Ultra High Definition 4K that takes TV viewing to an unimaginable new level! Now see picture details like never before. Tata Sky 4K - The best partner to your 4K TV. Existing subscribers can opt for a MultiTV connection for ` 5,900~. Taking TV viewing to a previously unimaginable level Tata Sky 4K beams content at a resolution of 3840 x 2160, which is 4 times the pixels of full HD. With the smallest details standing out in crystal clarity, even colours take on a whole new life with the 10 bit true colour. With over 600 channels, Tata Sky is no doubt the leading satellite television provider you should get in touch with if you are looking for a new TV connection. To help you get value for your money, Tata Sky provides you same day installation, one month lowest price, free HD and many other services you should not miss. Whenever you want to carry out any of the above activities on your Tata Sky account, do it via Zingoy, and you will earn amazing Tata Sky Cashback that will be credited to your Zingoy account within 72 hours after transacting via this platform. Once your cashback is validated, you can either buy vouchers with it or transfer the earnings to your bank. Don’t miss this amazing Tata Sky offers because they can earn you a lot of cashback if you keep doing your activities consistently via Zingoy. Visit this Zingoy page on a regular basis, and you’ll catch all the latest Tata Sky Coupons, discounts, promo codes and other offers. Tata Sky Dhamal Pack Offers: Get Tata sky dhamaka pack at Rs 199 only and watch more than 220 channels in HD. Tata Sky Online Recharge Offers: Recharge Tata sky subscription pack online and save more along with tata sky cashback offers. Tata Sky New Connection Offers: Buy Tata sky SD and HD connection and get 1 month free access and save more with Zingoy coupons & promo code. You can enjoy all the live tv show, sports, and movies from the different channels on mobile by just installing Tata Sky app on your mobile devices. Now also you get the chance to earn Tata Sky cashback by using Tata Sky coupons and promo code from Zingoy.